30 litre biobag cornstarch kerbside caddy liner from as little as £2 per roll. 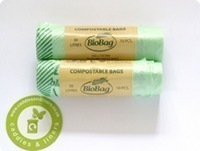 The natural solution for your food waste and kerbside caddy - a biodegradable and compostable Biobag cornstarch liner. 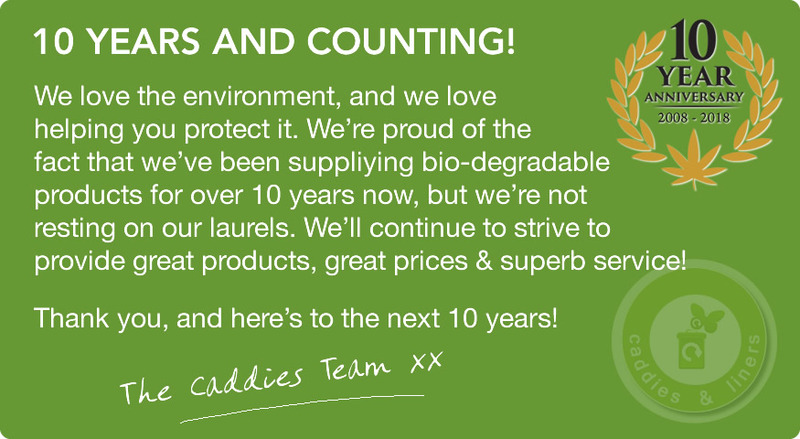 Established in 2008, we are the original and probably the first dedicated website supplying compostable (corn starch and paper) caddy liners, bin liners, garden sacks and wheelie bin liners. 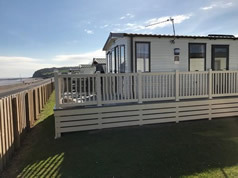 We also supply a focussed range of kitchen and kerbside caddys and bins. We have designed this Website to be easy, convenient and simple to use. Just a few clicks, minimal information, your choice of payment method, and your order is on its way - the same day or next working day. The best value site on the web for Kitchen Caddies and compostable / biodegradeable cornstarch and paper liners, bags and sacks. Your Local Council may have introduced a food waste or garden waste collection service and have supplied you with a caddy, caddies, or bins. Our biodegradable liners are perfect for these bins! We are able to send same or next working day from stock! 75 Litre compostable paper garden sacks Our ever popular compostable paper garden waste sack made from renewable sources are great value with 5 bags from only £6.49! PLEASE NOTE: For European Customers (inc ROI) A Small Delivery Charge Will Be Applied - See Individual Drop-Down Menus, Or Please Enquire For Details - Thank You!